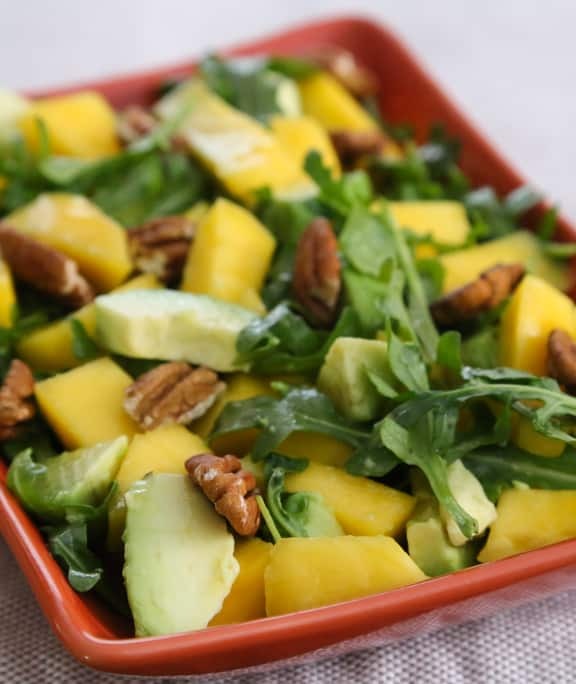 You don’t need a lot of ingredients with this awesome combination of mango, avocado, pecans, and arugula. It’s a pretty salad that brings such cheer to cool-weather meals. Photos by Evan Atlas. 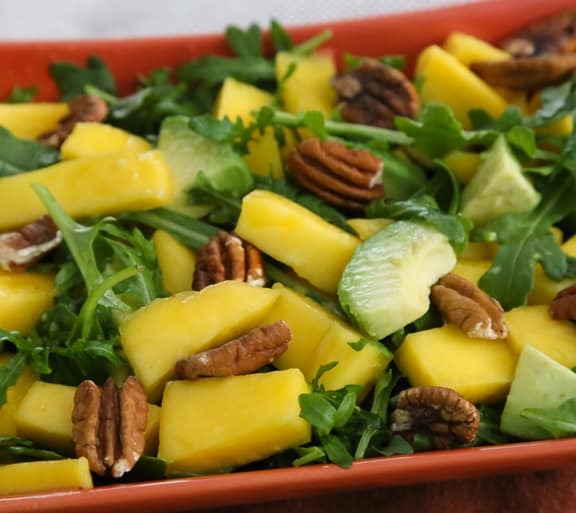 You don’t need a lot of ingredients with this awesome combination of mango, avocado, pecans, and arugula. 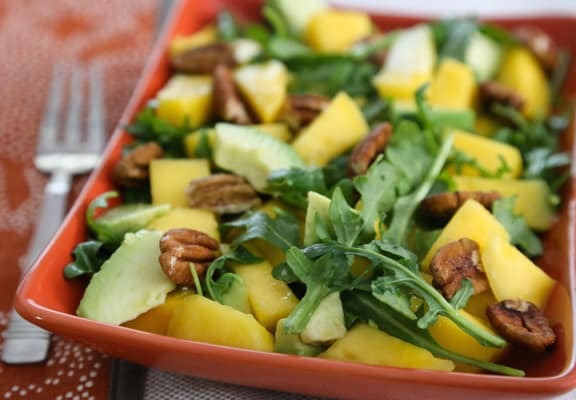 Combine the mango with the avocado (toss the avocado gently with the lemon or lime juice first) on a serving platter or shallow bowl. Add the pecans and arugula, and toss gently. Sprinkle with the coconut flakes and serve at once. Pass around the dressing of your choice. Dressing suggestions: Quite honestly, this is good with no dressing at all, but if you’d like, you can pass around homemade or store bought balsamic vinaigrette or raspberry vinaigrette. Or, just step up the lemon and lime juice and add a splash of olive oil. Oh, some of my favorite things all mixed together! Can’t wait to make this!